For his part, Jared did his best to look good for the occasion. 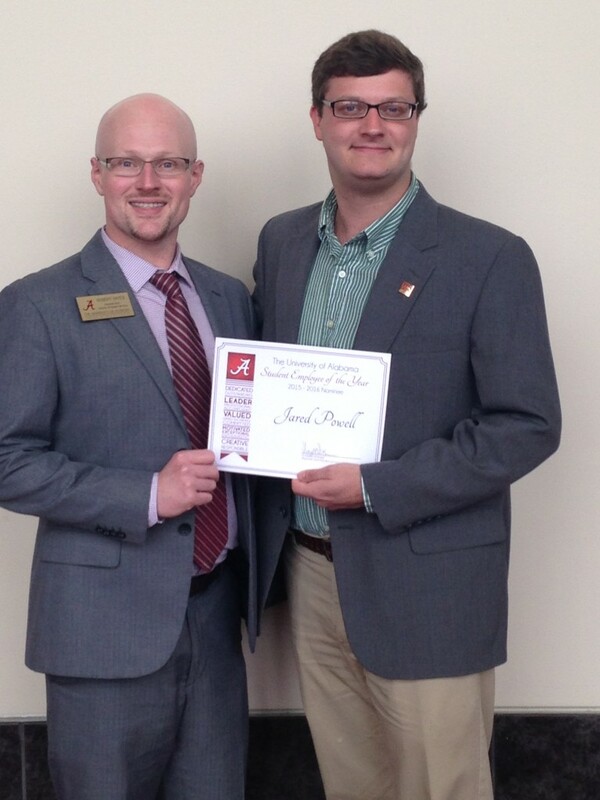 Congratulations, Jared! Thank you for everything you’ve done for this department! 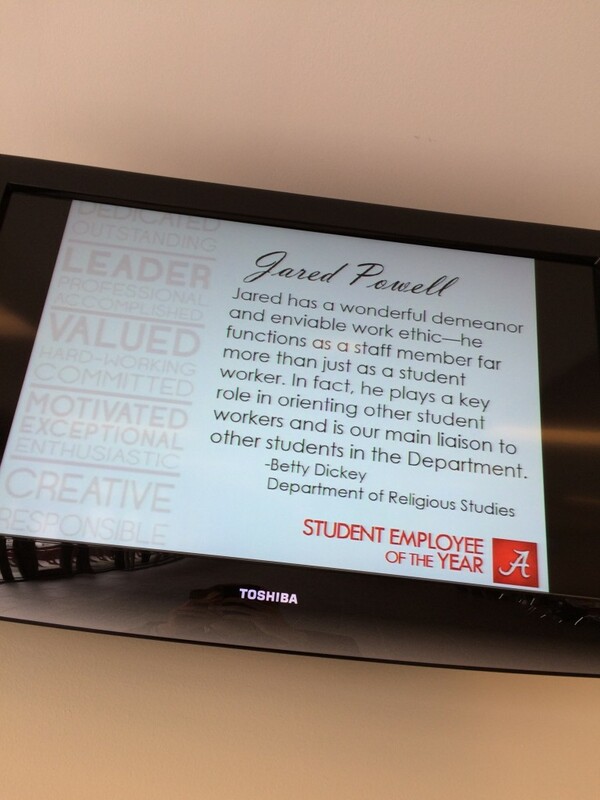 This entry was posted in Faculty Blog, Student Blog and tagged #whatsjaredlookingat, awards, Jared Powell, student workers by Michael Altman. Bookmark the permalink.